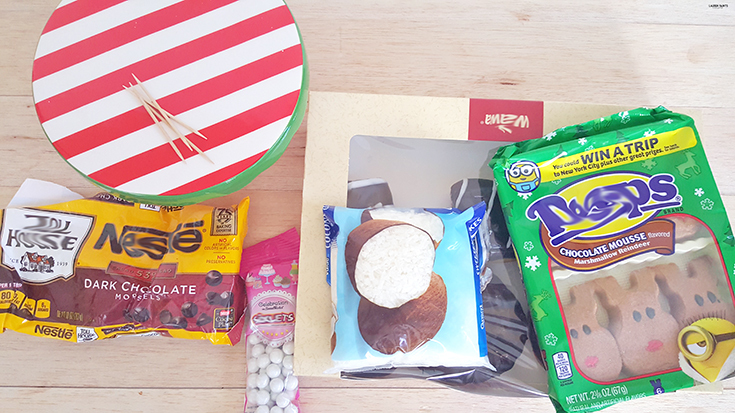 Can you believe Christmas is almost here already? With only 10 days left until the official day, I've been crafting up all kinds of delicious recipes and working on fun gifts and DIY projects galore. Today I decided to take a break from it all, at least for a little bit, and I "made" a super fun and INCREDIBLY simple little breakfast in celebration! 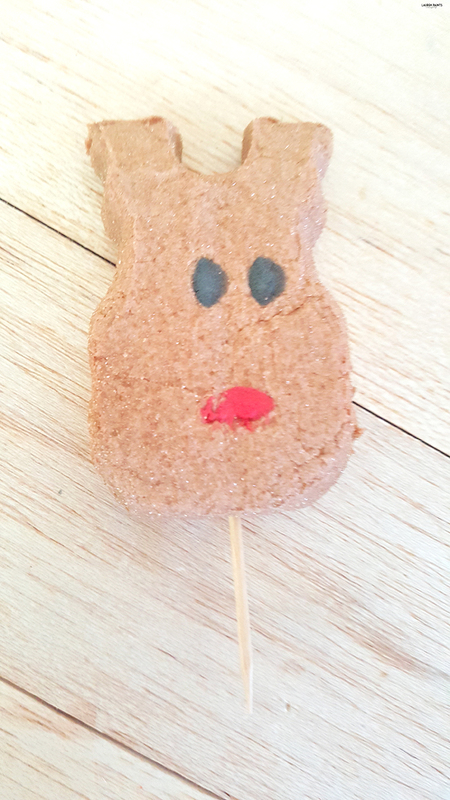 While this would've been a way more impressive recipe had I actually made the ingredients, combining the two was totally my idea and it turned out pretty stinkin' adorable! 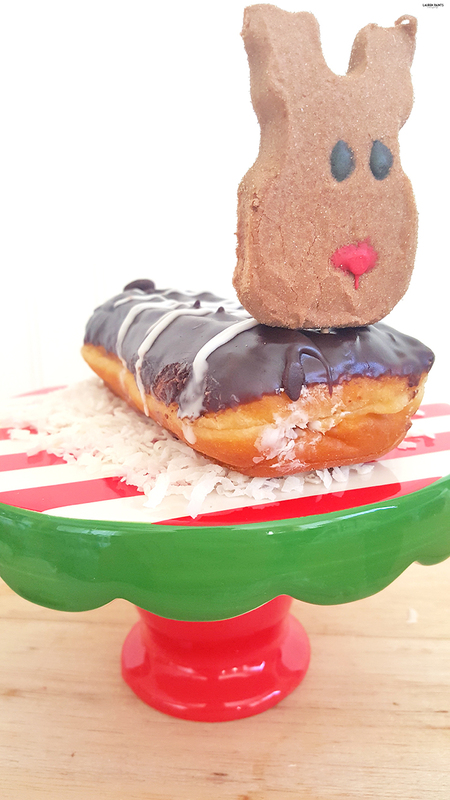 If you want to surprise your sweetie with something adorable on Christmas morning or you and your kids want to leave something different and unique for Santa, I think this little reindeer doughnut is perfect! 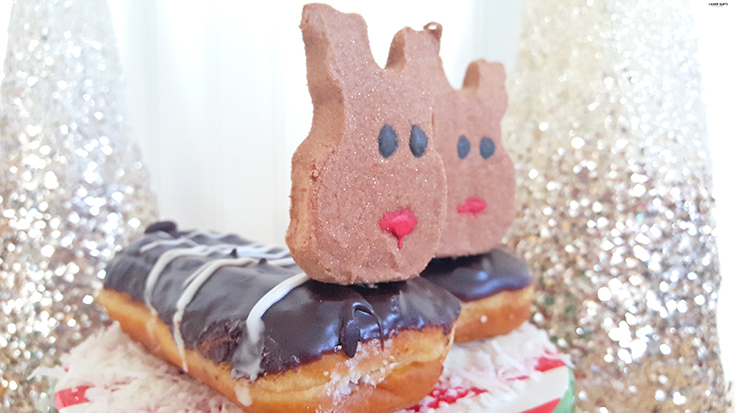 What do you need to make these cuties? 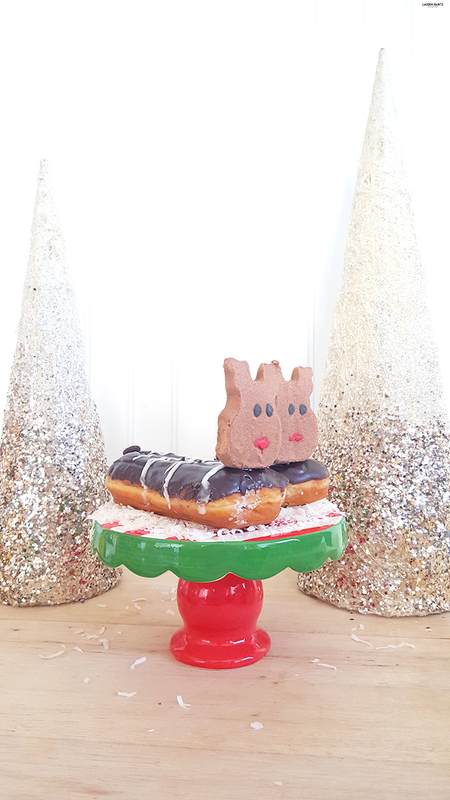 These little reindeer doughnuts are too cute not to share with you, but the "recipe" or "tutorial" is super simple! 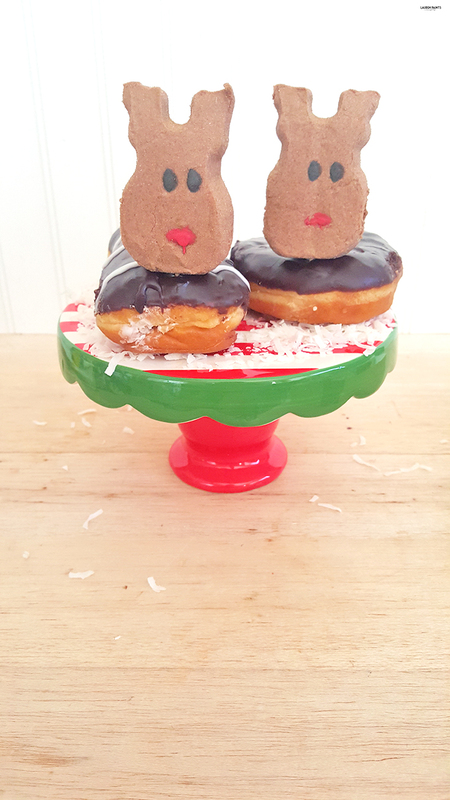 You'll begin by placing a toothpick in the Reindeer peep and placing the other end in the doughnut, next you'll add a little chocolate chip tail... Sprinkle a little coconut "snow" on the plate and it's time to eat! 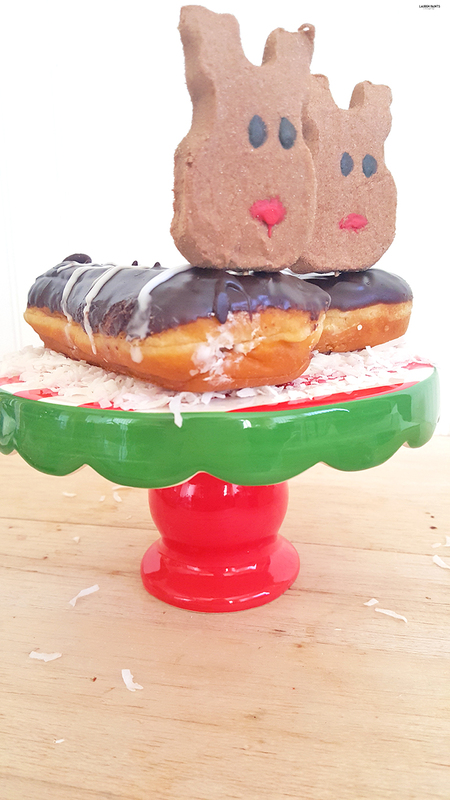 Want to make your doughnut even more fun? 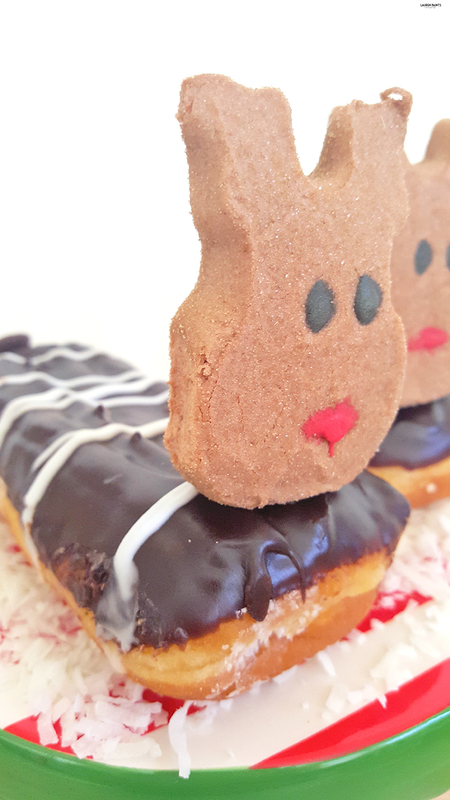 Add sprinkles or something else fun & winter-y, simple little recipes like these are fun for the kids to help you make & waking up to a treat like this on Christmas morning makes your holiday breakfast even more spectacular! Serve with a glass of milk & ENJOY!